We were delighted to be awarded yet again the TripAdvisor’s Certificate of Excellence, based on reviews from the TripAdvisor community. 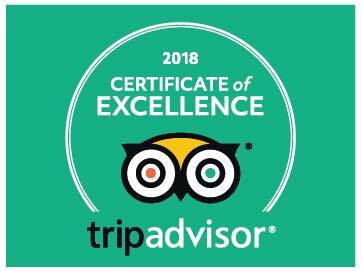 The Certificate of Excellence award celebrates excellence in hospitality and is given only to establishments that consistently achieve great traveller reviews. A huge thank you to our guests for the fantastic reviews! Posted in Accommodation, Clonabreany Courtyard and tagged Tripadvisor.